Wilco’s Jeff Tweedy produced Joan Shelley‘s latest album. It was recorded at Wilco’s loft in Chicago with Tweedy’s son Spencer playing drums on some of the tracks. On the next World Cafe, Shelley talks with David Dye and we hear live sets from Shelley, Canadian duo Whitehorse and New York rockers The National Reserve, recorded at the 56th annual Philadelphia Folk Festival. The Lone Bellow swam through a lot of change while making their newly released album Walk Into a Storm. Babies were born, one member dealt with alcoholism, they mourned the death of a close friend. Plus they relocated from Brooklyn to East Nashville. They play live and talk about facing change with Music City correspondent Ann Powers in a new Nashville Session. In July, NPR published Turning the Tables, a list of the 150 greatest albums by women. If you saw the rankings and longed to hear more from the women who helped decide what made it, or if you simply are a huge fan of some of the killer ’90s albums that were featured, you will want to listen to the next World Cafe. We have some fun discussing one of our favorite rockers and a particularly popular R&B trio. After Colin Meloy heard English singer Olivia Chaney’s arrangement of the old folk song “The False Bride,” he invited her to open for his band The Decemberists. Not long after, Offa Rex was born – a chance for Meloy to focus for a while on his love of the music of the British folk revival. The new band’s debut is called The Queen of Hearts and it features a collection of classics complimented by the pair’s personal twist. 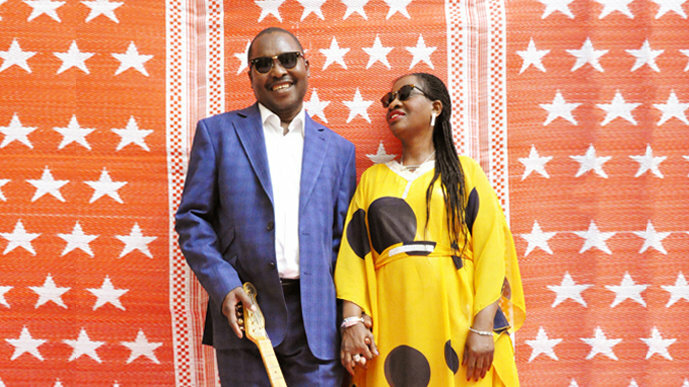 Amadou and Mariam have been making music together since meeting at the Bamako Institute for the Young Blind in Mali in the ’70s. On the next World Cafe, Amadou and Mariam perform music from their latest album La Confusion and they tell stories about their first meeting, losing their eyesight and performing “eclipse” concerts in the dark.